The American Red Cross needs your help. There is a severe blood shortage and you may be able to help. 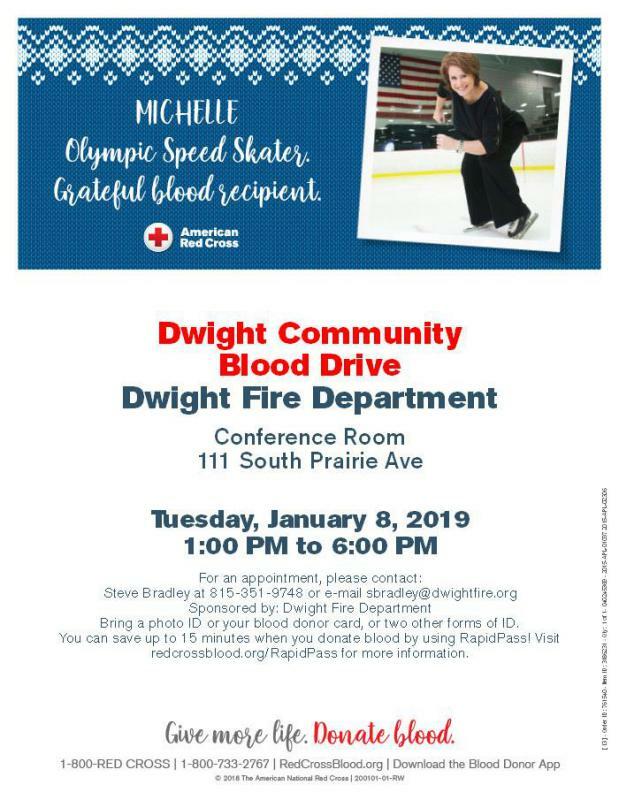 The Dwight Fire Department is having a blood drive Tuesday January 8th from 1pm until 6pm at the department. Contact Lt. Steven Bradley at the station if you want to donate. Your donation will help save the life of someone in desperate need of blood.